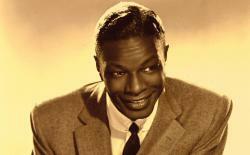 The My Music series proudly presents a centennial celebration of the immortal Nat King Cole — born March 17, 1919 — with the first-ever special to present full performances of his greatest hits and cherished standards. The elegance, warmth and beauty of Cole’s voice is unmatched in the history of popular music. Classic ballads such as “Mona Lisa,” “Unforgettable” and “When I Fall In Love” are among the most passionate love songs ever recorded. Rarely seen footage from his groundbreaking 1950s variety show paint a nostalgic portrait of an impeccable and timeless artist. Hosted by Martin Sheen, Nat King Cole's Greatest Songs airs Sunday, April 14, 2019 at 2:30 p.m. on WXXI-TV.